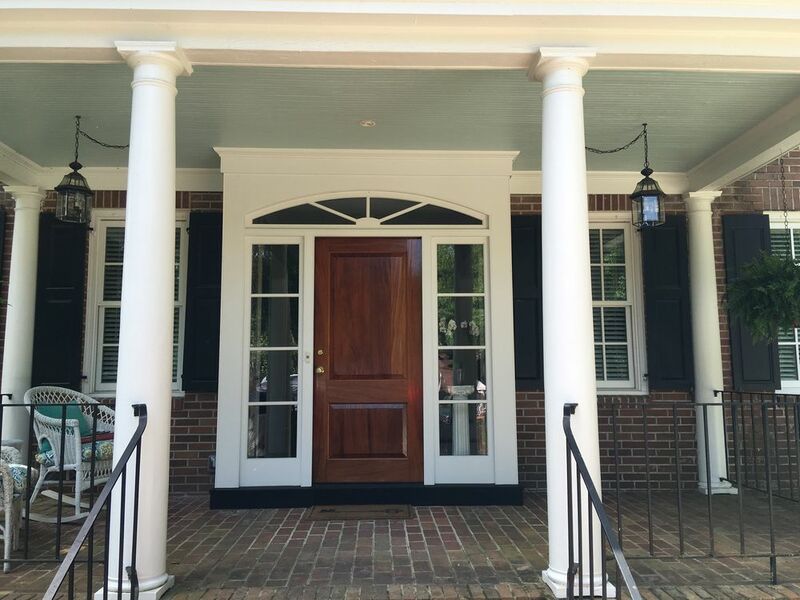 Driwood worked with Morris Architecture in Charleston, SC to design and construct a new front entry for a renovation project. 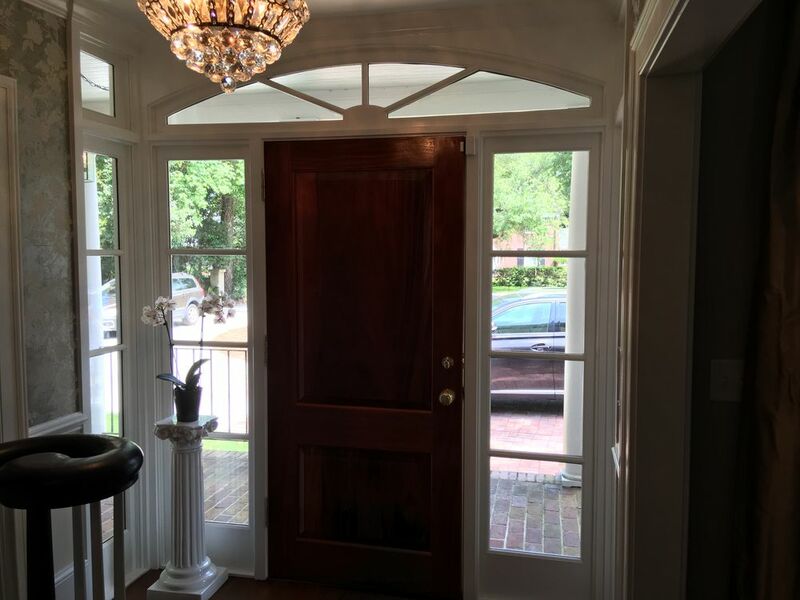 This traditional fan light entrance with un-embellished side lights encases a mahogany two panel door. 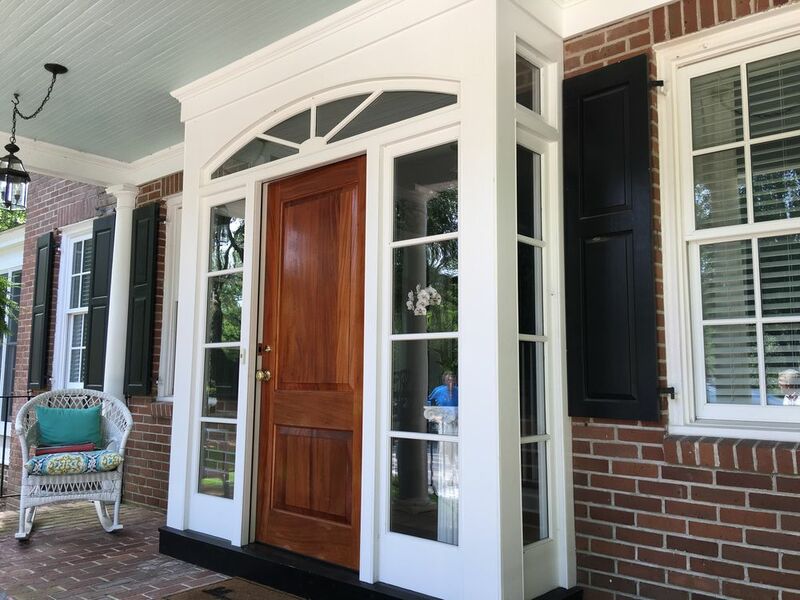 The new entry gives a sense of strength to the home’s facade.